This is a very green city, so Wellington Gardens & Parks are well worth investigating. Scenic reserves, leisure parks, and lots of green spaces - there are plenty of places to sit back and relax in Wellington. Gardens & Parks in Wellington are an important part of city life. As Wellington evolved, the city authorities made a deliberate effort to make as much of the area green and accessible, thus avoiding the claustrophobia of many other major cities. The Botanic Gardens are a big draw, especially as they are linked to the city below, by the famous Wellington Cable Car. The Gardens also have jogging tracks, a playground, and some picnic spots. 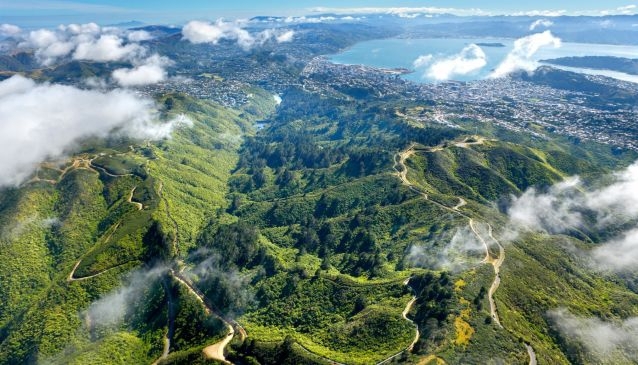 Next door is Kelburn Park, and to the south are some major green spaces at Charles Plimmer Park (Mount Victoria), and the Karori Wildlife Sanctuary. To the north of the CBD, Town Belt and Trelissick Park are popular weekend haunts for joggers, dog walkers and sunbathers.